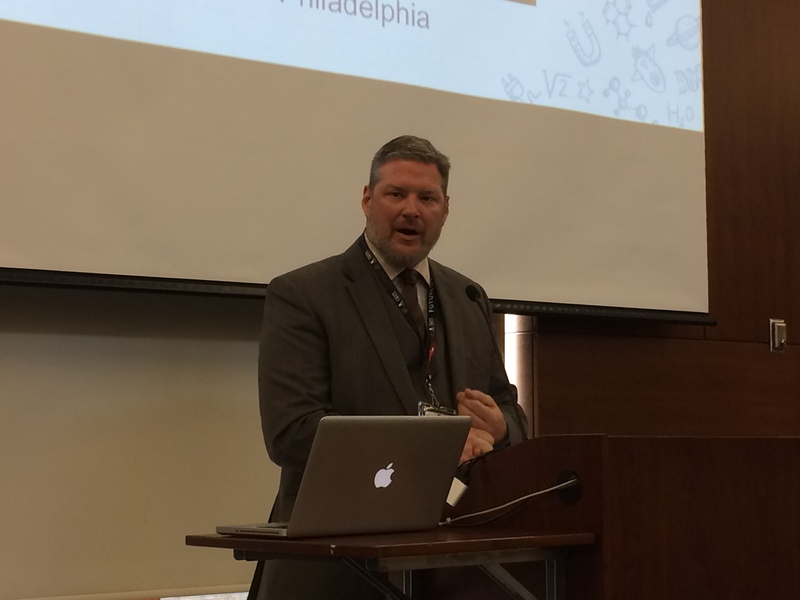 Visit www.steamforwardlearning.org to see conference photos or click on the photo above to read more about the event. 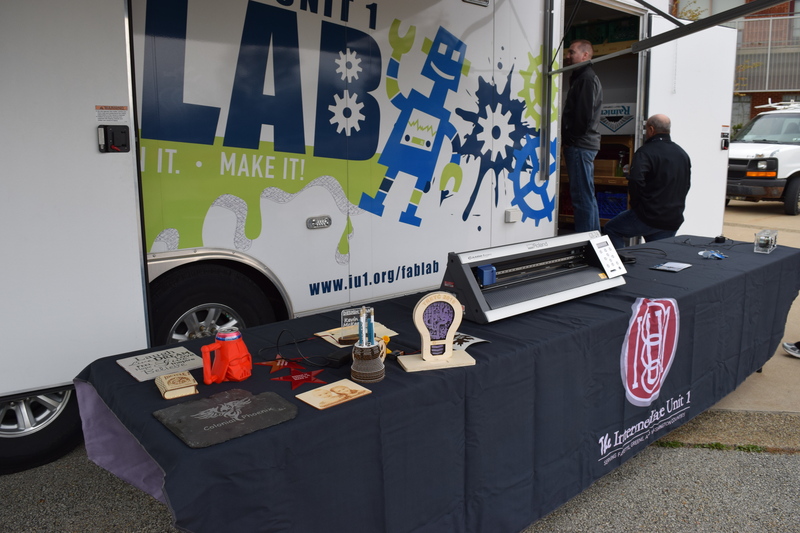 The Education Department hosted its first STEAM conference on November 16, 2016. 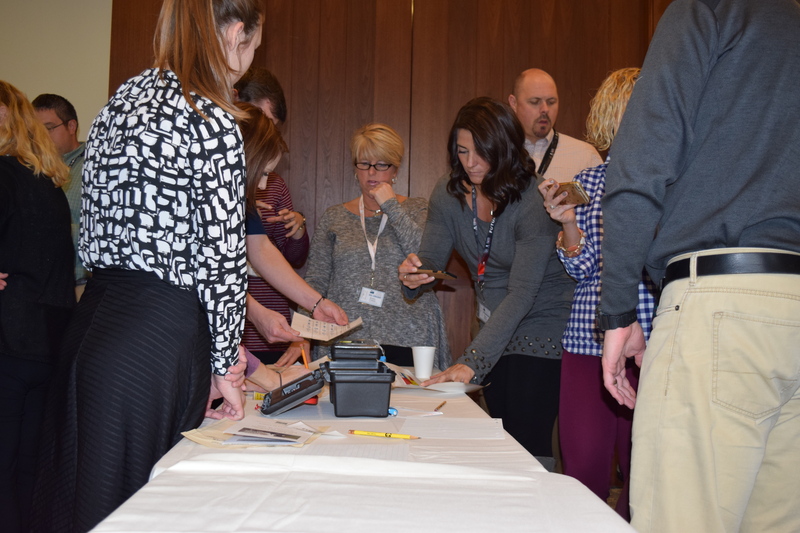 With over 300 attendess and 20 STEAM vendors, the event featured multiple breakout sessions and speakers who shared insights on how to effectively integrate STEAM principles across the PreK-College classroom setting. Bottom: Attendees participate in Escaping the Classroom, an interactive breakout session. 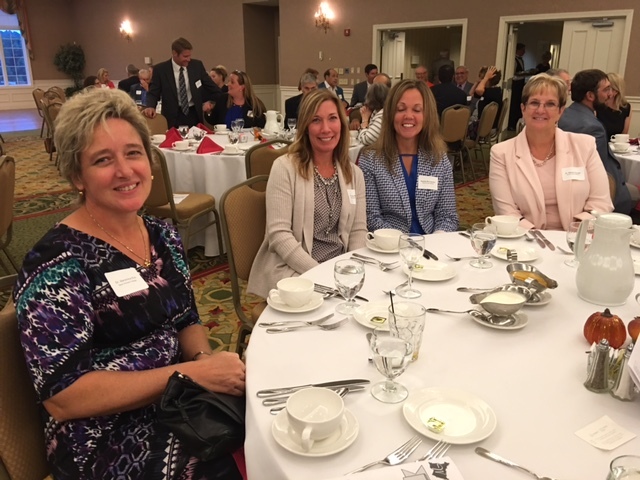 ​On Wednesday, September 14, 2016, Dr. Ent and Dr. McNelly were invited to attend the Westmoreland County Workforce Development Forum, which hosted their annual dinner event at Greensburg Country Club. 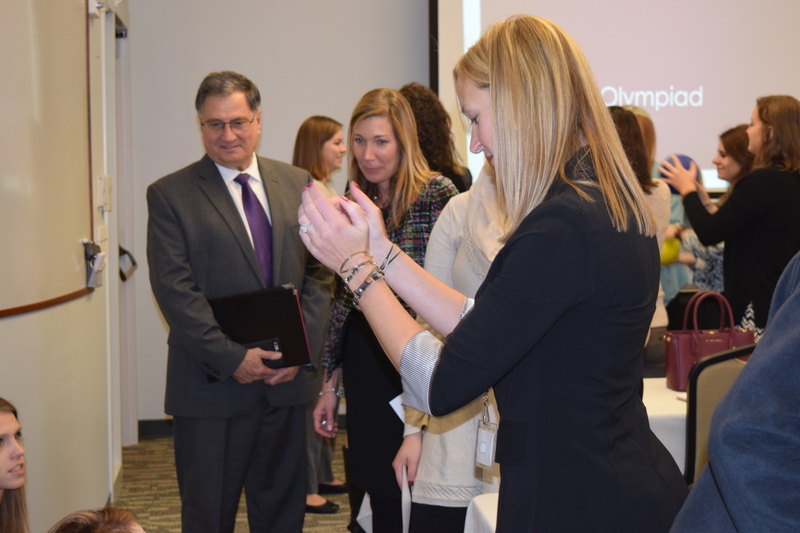 The Forum is made of of a group of educators and business leaders from across Westmoreland County, whose mission is to "connect business and education through coordinated opportunities which will improve workforce quality and economic development." LATROBE, PA – Dr. Veronica I. Ent, associate professor and chair of education in the Saint Vincent College School of Social Sciences, Communication and Education, authored an article, Is Flipped Learning Really New to Academia?, in the May 2016 issue of Journal: Tech Trends. TechTrends is a leading publication for professionals in the educational communication and technology field. Ent’s research areas include historical advancements in instructional technology. Similar research published by Ent includes the use and practices of 1900 technologies in the schoolroom. LATROBE, PA – Dr. Veronica I. Ent, associate professor and chairperson of education and graduate program director in the Saint Vincent College School of Social Sciences, Communication and Education, was honored with the presentation of the Boniface Wimmer Faculty Award at the Saint Vincent College spring Honors Convocation on April 20 in Saint Vincent Basilica. Named for the founder of Saint Vincent and the pioneer of Benedictine monasticism in the United States, the Boniface Wimmer award recognizes a senior faculty member for sustained excellence. Ent earned a bachelor of arts degree in elementary education from the University of Findlay, master’s degrees in art education and curriculum and instruction from Ohio University, and a doctorate in instruction and learning from the University of Pittsburgh. Ent lives in Saltsburg, with her husband, Len, and near to her mother’s farm where the Saint Vincent College equestrian team and club practice. ​LATROBE, PA – Dr. Tracy A. McNelly, assistant professor of education in the Saint Vincent College School of Social Sciences, Communication and Education, authored an article, Using a Student Self-Assessment Template to Gauge Student Learning, in the educational journal College Teaching. LATROBE, PA – Saint Vincent College Education Department will present a lecture by Dr. Bart Rocco, superintendent of the Elizabeth Forward School District, at 7 p.m. Tuesday, March 15, in the Performing Arts Center of the Robert S. Carey Student Center. His topic is Innovation and Learning. Admission is free and open to the public. Raised in the Monongahela Valley before pursuing his undergraduate degree in education and communication and master’s degree in education at Duquesne University, Rocco continued his education at California University of Pennsylvania, where he received his principal’s letter, and then at the University of Pittsburgh for a doctoral degree in the educational leadership Department. Rocco started his career in 1983 as an English teacher at South Park High School and later served as vice principal for one year. In 1993 he moved to Thomas Jefferson High School in the West Jefferson School District, where he served as vice principal until 1997. He became principal there, a position he held until 2006, when he moved to the West Mifflin Area School District as assistant superintendent. He has been superintendent at Elizabeth Forward since 2009. The lecture will be preceded by a reception with hors d’oeuvres and refreshments at 6:30 p.m.
Pre-registration is requested by visiting www.stvincenteducation.org. For further information, contact Ent at 724-805-2586 or veronica.ent@stvincent.edu.